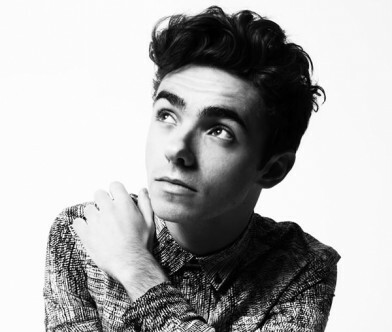 Nathan Sykes has announced his highly anticipated debut solo single as the incredible ‘Kiss Me Quick’. Last night, Nathan used the new streaming app Periscope to make the surprise announcement and shared a teaser of the track to his 1.6 million Twitter followers, before taking to the stage at Glasgow’s ABC2 to kick-off his sold-out intimate UK shows. Nathan’s run of UK live dates continues in Newcastle, Birmingham, Manchester and Brighton before culminating in a show at London’s iconic Bush Hall on April 15th. This comes hot on the heels of Nathan announcing his solo career – following 5 years with The Wanted – and exciting details on working with some of the biggest producers in the music industry, including Diane Warren, Babyface, Harmony Samuels and UK based LDN noise. Nathan recently gave fans a taster of what they can expect from him with a free download ‘More Than You’ll Ever Know’, taken from his debut album which will be out later this year. ‘Kiss Me Quick’ is out June 14th in the UK.